Reality television star Tiffany Pollard was born on January 6, 1982 in Utica, New York, the daughter of Michelle Rothschild-Patterson and Alex Pollard. 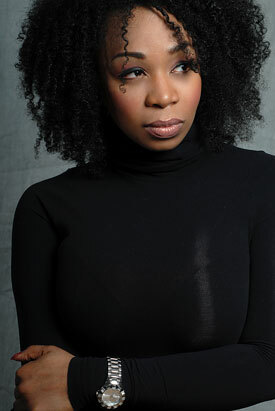 She is best known for her participation in VH1’s Flavor of Love and I Love New York television series. She finished 4th on Celebrity Big Brother in 2016 and was also on the shows The Next: 15 and Family Therapy with Dr. Jenn. She was engaged to two different men from the show I Love New York. She has a height of 5 feet and 6 inches which is around 168 cm. She wears a size 10 shoe and her zodiac sign is Capricorn. She has been engaged to Patrick Hunter (2007). She has been in relationships with George Weisgerber (2007 – 2008), Ahmad Givens (2007), Ezra Masters (2007), Kamal Givens (2007) and Flavor Flav (2005 – 2006). *She attended John F. Kennedy Middle School and graduated from Thomas R. Proctor High School in Utica, New York. *She played a supporting role in the movie First Sunday alongside Ice Cube. *Her first movie role was in 2008, in the comedy First Sunday.